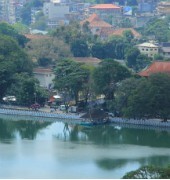 The Kandy Queen is centrally located on a hill top in Kandy near the Kandy Bus Stand and the Railway Station providing easy access to the rest of the city. 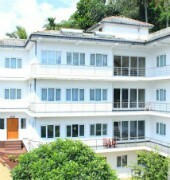 The hotel is adjacent the Udawatte Forest Reservation and is close to the Kandy Lake. Accommodations are equipped with air-conditioning/heating unit, TV, tea and coffee making facilities, internet access and en suite bathroom. Wake up call, IDD calls, hairdryer and extra towels and pillows are also available. 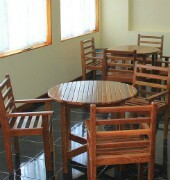 The hotel also offers a rooftop barbecue facility and room service. Other services include bicycle/car rentals, laundry and ironing, fax and photocopy services, parking, excursions and airport transfers can be arranged on requests. The Temple of Tooth Relic, Embekka Dewalaya, Lankathilaka Temple, Peradeniya Gardens, Pinnawala Elephant Orphanage, Kandy Museum and the Horton Plains are some of the main tourist destinations in the area. 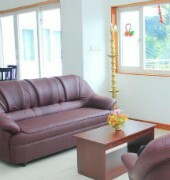 Bandaranaike International Airport is approximately 105 km from the hotel.